On paper, we shouldn’t be too excited about Gran Turismo Sport. But video games don’t exist on paper. I’ll admit that we – Billy Strange and I – were split on UI. I really like the car / art focus and found navigation – once I knew what was behind each icon – to be very intuitive. Billy also liked the art style but didn’t care for the navigation. As always, beauty is in the eye of the beholder, but since I’m writing this review, I’m putting it as a Pro. The whole package is just attractive, simple and relatively snappy. Plus it’s one of the few games you don’t mind stepping away from for a minute because you’ll be greeted with beautiful images and cinematic videos upon your return. While I can understand some push back on the UI, if you think Gran Turismo Sport is anything but beautiful, you are out of your mind. 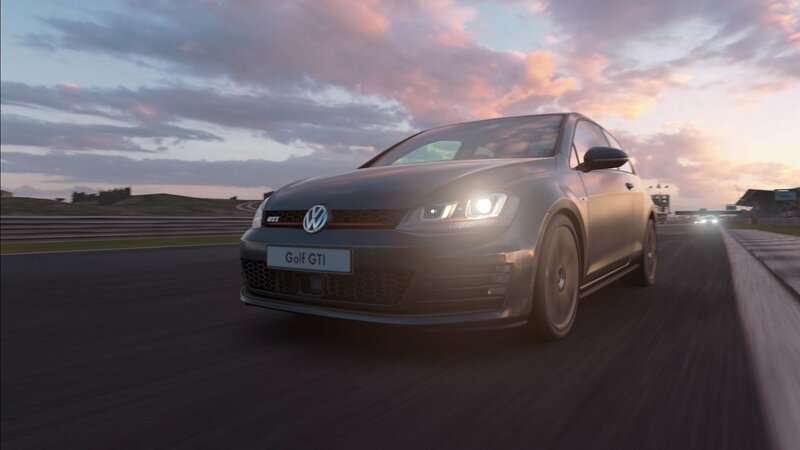 From the most gorgeous intro video you’ve ever seen, to the UI, to the loading screens, to the race and to the replay, Gran Turismo Sport’s graphics and art style are on point. The transformation from E3 2016 to E3 2017 to now is impressive. At E3 2016 Gran Turismo Sport was a mess of jagged lines and okay – but not great – textures and shaders. But fast forward to today and the release version Gran Turismo Sport is way more than okay. Thanks to a move to physics based rendering the lighting is second to none. The depth of field captured on a flat screen is so good that it’s borderline distracting. A number of times I caught myself gawking over the 3-D effect of the interior and the tree line off in the distance instead of focusing on the race. The ability for the graphics engine to – nearly – remove all jagged lines thanks to some sort of motion blur effect versus raw computing power feels like black magic. And we’re talking a standard PlayStation 4 here, not a Pro or even gaming PC. Speaking of the standard PS4, it pushed out these graphics with not much frames per second (fps) drama. I noticed a few times when the game pictured slowed down a bit, but for the most part, both the racing seemed to stick around the 60 fps level. As for the PS4 Pro that Billy has, playing on a Pro gives you the option to play on “Performance” or “Quality” modes. Performance tones down the graphics slightly to guarantee that the game runs at 60 fps locked, while Quality allows you to lose out on some fps here and there in the pursuit of all the eye candy. The PS4 Pro also allows you to play in 4K with HDR, something we weren’t able to experience ourselves, but based on what we’ve seen out on the interwebs, looks to also be impressive. Now is it all sunshine and unicorns for the graphics? No. The interior windshield reflections are WAY too strong and comically bad on some cars. The reflection is so bad on the McLaren 650s GT3 that for a bit I thought the vents I was seeing where part of the roof design, not just a reflection of the dash below. Many other cars suffer from the same problem, while the rest are just too strong. Leaving the track, the cut scenes that show the virtual cars driving real world roads can be very cringe at times. Some of them are done pretty well, but a lot of them aren’t and just look odd. If you want to show the cars driving in beautiful environments, just make the environments. Based on everything else we’ve seen in the game, they should be plenty good enough. But besides those two cons, graphics are a home run and leave us just watching lap after lap captivated. Okay Kaz, you win. I like taking photos in GT Sport. After sitting through multiple E3 presentations that talked extensively about something that I thought I couldn’t care less about, I was ready to turn and burn the page on photos. But, then I tried it. And I liked it. A lot. You can capture some truly stunning photos. Between the graphics engine and options / ease of use, taking pictures in GT Sport is a painless, enjoyable experience. 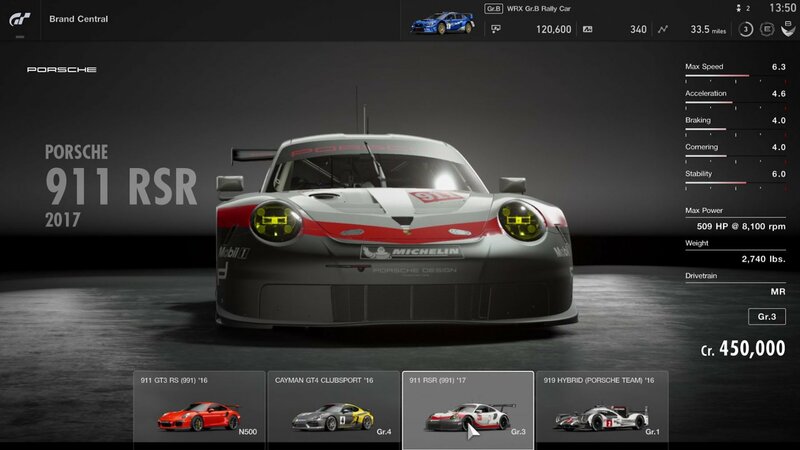 Like photo mode, the livery editor is comprehensive and intuitive to use. Between logos and graphics, some truly amazing liveries can be created, and already have been during the game’s demo. 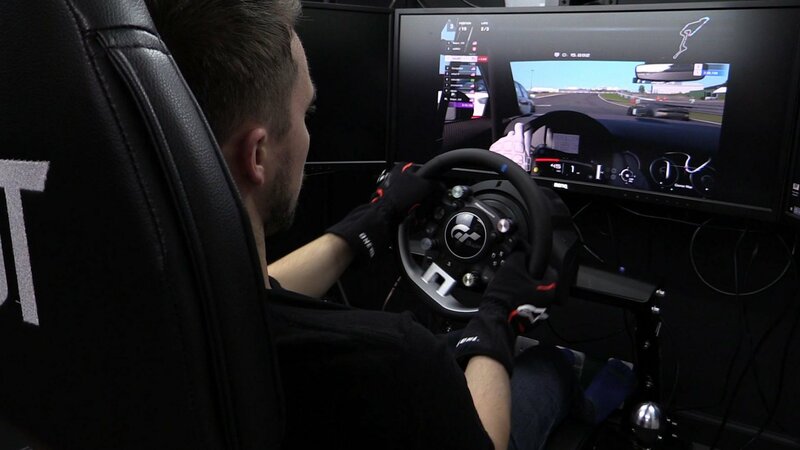 If you race with a wheel, you probably want to whip out the PS4 controller so you can utilize the sticks (unless you have the Thrustmaster T-GT). But outside of that, the livery editor is another satisfying addition to the game. 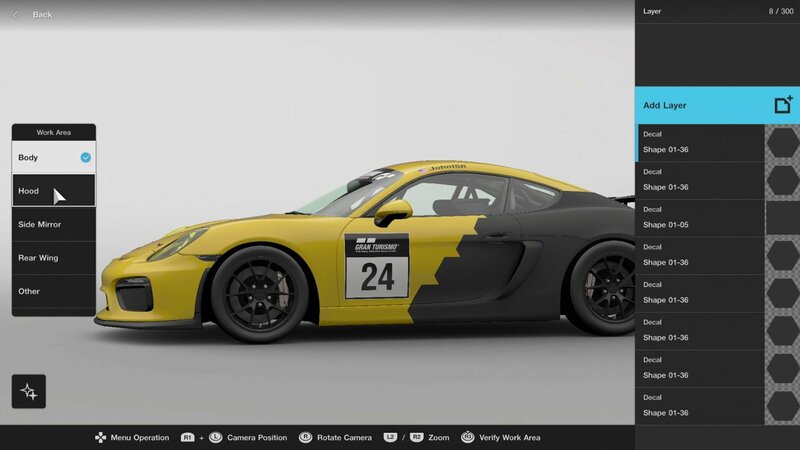 Perks are in games to keep players going and this is no exception in GT Sport. “Daily Workout” pushes you to show up every day and race instead of spending your time trolling the GT Planet forums. “Mileage Bonus” also rewards you for making laps by allowing you to trade miles driven in for things such as cars, helmet liveries, or paint colors. 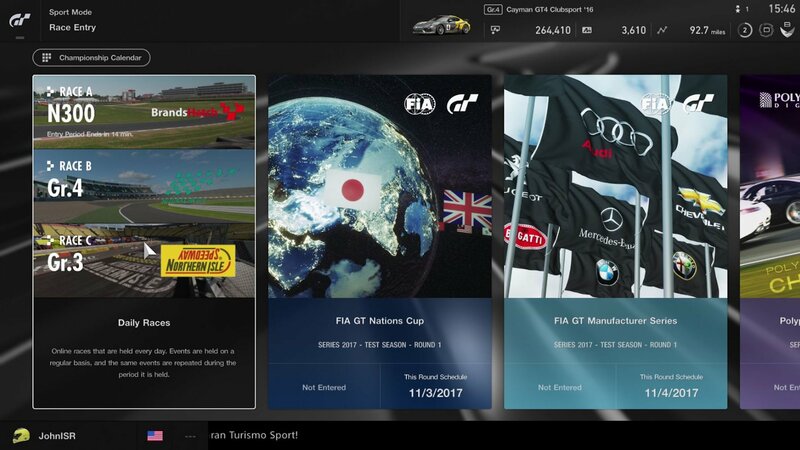 You can also upgrade your cars – increase horsepower, decrease weight – by using miles, the only way you can update your cars in GT Sport. It’s a small detail but we appreciate the effort to keep you racing daily and do think that it’s going to compel people to fire up their PS4. The entire premise of Gran Turismo Sport is racing online, and it hits it out of the park. The first part of the equation is the unabashed copying of the iRacing driver and safety rating. Do well, move up on the E-D-C-B-A-S “Driver Rating” scale. Race clean, gain “Sportsmanship Points” which are then applied to your Driver Rating. The online matchmaking system only places you into races with people that have the same, or close to the same, Driver Rating. In our experience, races may feature two ratings such as A and B or C and D. This resulted in us competing against other drivers who were legitimately trying to race hard and clean, and not just out there running a muck. But even though the new Safety Rating is nice, it wouldn’t be enough without one more element, ghosting. GT Sport will “ghost” cars that go spinning or even fly into the corner too hard. This element has saved my race and others many times, and the game is very good at predicting when ghosting should be applied. The ghosting effect is set higher for races with D and lower rated drivers, decreases in races with A, B and C drivers and is actually turned off for the highest rated S drivers. This tiering of the ghosting effect is perfect. Outside of the Driver Rating – but equally important – is track limit penalties. If you cut a corner, the game will give you a slow down penalty. The longer you take to serve the penalty, the more severe it becomes. Don’t serve the penalty during the race? Then a time penalty will be added post race. Again, another element that is very well thought out and executed. So while Gran Turismo Sport does a great job of keeping drivers in-check in races, what about the process of joining races? This process is also well executed. There are three short races that go off at the top of every hour, top of the hour, 20 after and 40 after, that allowed you to jump from one to another without ever having to take a break from racing. You can also qualify for each race at anytime, and once you set a qualifying time, that time is good for the entire week that the track is used. Just make sure you’re not in a qualifying session when the race kicks off or you’ll miss it because there’s no countdown clock, something I’d like to see changed. But if you do jump into a race session, which opens 15 minutes before the race starts, there is enough time to set some qualifying laps before the race starts. Another thing that is interesting with online racing is the choice of cars. Some races – so far only the N300 group only – make you use the cars in your garage, as you’re accustomed to with GT. But the other online races skip your garage and just give you a choice of cars from that group to pick from. This new approach leaves us a little split on whether or not this is a good thing because it takes the game element of earning cars out of the game but it does allow you to drive what you want and it creates a very diverse and cool looking field. The game also applies balance of performance (BOP) to the cars, making it so very different cars can competitively race against one another. It’s a little early to declare if the BOP is perfect but so far in our experience of driving, and driving against many different cars, the field seems pretty balanced. And speaking of the field, 24 car fields online is impressive. Not only is it 24 car max field but the fields actually have 22 or 23 people to race against with similar skills to yours thanks to the popularity of Gran Turismo. This is one of the most exciting things about the game. 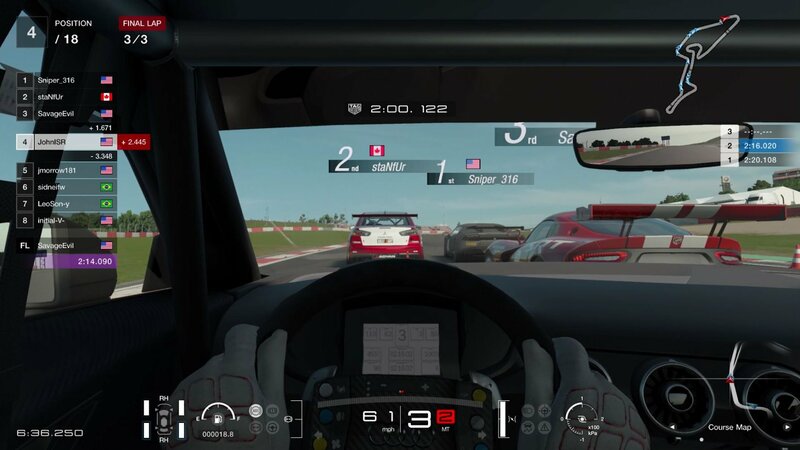 While “sim” racing titles are vying to get their much smaller user base to come online and race – and dividing them up severely at times across different racing series – GT Sport is going to have a HUGE user base that will all be piling into one, or maybe a few, races. This means that fields will not only be full but full with people that are at your skill level, making for much better racing. Players can set up or join custom lobbies. The lobbies are easy to setup and allow you to adjust everything you need to to create a good experience. Set number of laps, time, what Driver Rating you have to have, whether to have it be open or closed to friends, class of car, open or fixed setups, BOP, time of day, damage, tire wear, fuel usage rate, etc. 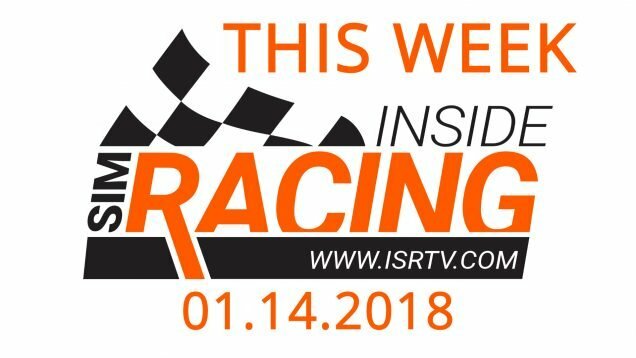 If the Sport races aren’t getting it done for you, the Lobby should, especially with the new Driver Rating and ghosting effect keeping things in-check. The only downside we see is the max field size of 16 cars, which is a bit of a let down compared to the 24 you can have in Sport. If there was one thing that Gran Turismo had to do right, it was online racing, and – for the most part – it’s doing a really good job. If we have one minor gripe, we’re not in love with running the same track for an entire week. The GT Sport Demo only ran at the same track for 24 hours and the changeover of tracks during the week was fun. 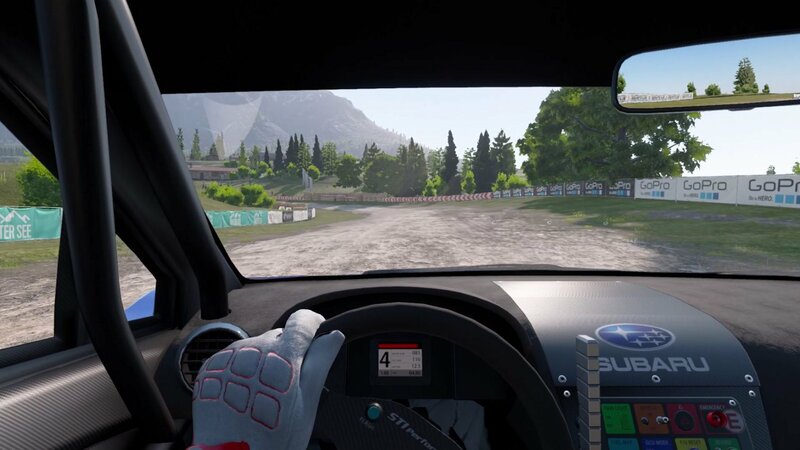 But for the final game, Polyphony is only changing out tracks every Tuesday, which can leave you running tracks that you don’t care for – any of the ovals for us – for an entire week. This could result in people sitting out the week, and for a game that’s about showing up daily, that’s not good. So in the name of getting folks to show up every single day, we think going the 24 hour route would be better. Outside of that change, we are excited to see where the online Sport play goes. We can already see the FIA GT Nations Cup, GT Manufacturer Series and Polyphony Digital Championship scheduled for November, and it will be interesting to see what else gets scheduled. Could we see other, longer, open races? Will multiple races run at the same time? Will they have special one off races? Time will tell, but there are a lot of cool things that can be done from here thanks to the system. The biggest casualty of the online focused GT Sport is Campaign mode. “Driving School, Mission Challenge and Circuit Experience” aren’t bad, but aren’t the most compelling. To some degree, Driving School and Mission Challenge is the mixed bag it’s always been in the GT series. Some events are painfully easy and boring. Others are really challenging and take multiple attempts just to pass. At the very least, Campaign is still a good way to pick up bonus cars, miles and credits. Lets face it, Gran Turismo Sport isn’t the GT – insert number – of your childhood. Campaign is a shadow of its former self, and replaced with something that has compelling moments, but isn’t the staple of the game. It will be a major turnoff to some, and a non-issue to others. The car list in GT Sport is going to be polarizing. With 162 cars, a fraction of the 1197 in Gran Turismo 6, it is a significant reduction. But I would argue it’s a good thing. 162 cars is still a lot of cars. And do we really need 35 different R32 Skyline’s? How do you put the same time and effort into 1,000 cars, or 600 cars, or 300 cars? You don’t. I rather see less cars that are done well than a bunch of cars with some done well and the rest not. On the other hand, I do understand that a lot of you play these games for the car collecting element and that won’t nearly be as present here. As for the cars that are in game, I like what I see, and I am impressed a lot by the fantasy race cars. I usually don’t like fantasy cars but the Group 3 and 4 fantasy cars look like they could be the real thing and make for very interesting looking online fields. Unfortunately, there are a lot of “Vision GT” cars that muddy up the water in the prototype group thanks to them looking woefully out of placed compared to the sweet real life LMP1 cars. Would love to see them separated from the real life prototypes and put into their own group. 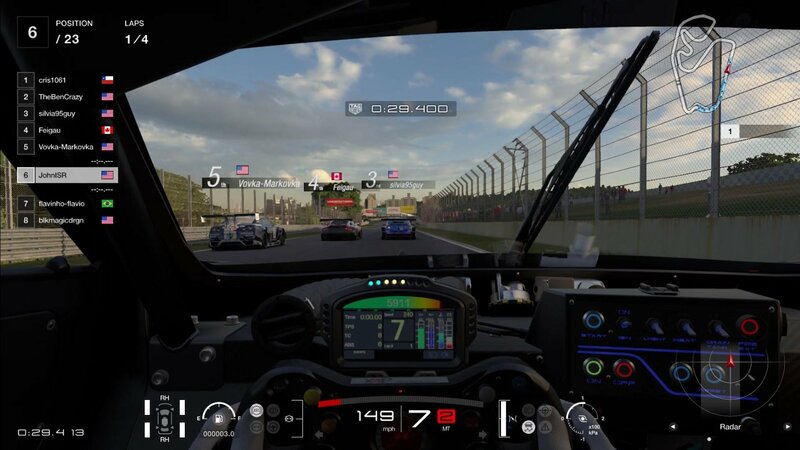 The AI in GT Sport’s Arcade mode isn’t bad but isn’t great, which considering the amount of bad AI in racing games today, isn’t a slant against them. They don’t race you super hard, but if you make a mistake, they will pounce and they don’t do anything real stupid like create giant – realism breaking – pileups. AI comes in three speeds, “Beginner, Intermediate and Professional” which is quickly becoming a dated way to set up AI. It would have been nice to see a 1-10 slider or even a 70-115 slider to give you more speeds to race against. We say this because in short “Professional” races, the AI isn’t that hard. Oddly though, they do become more challenging in longer races, so the game might be adjusting their speed depending on the length of race, even with the same AI settings? Either way, more options for AI speed would be nice but at least they aren’t out there ruining your race. Unlike past GT games, all the cars in GT Sport have interior views and there are pros and cons. On the plus side, the interiors are nicely done – except for those windshield reflections – and you can move the seat up / down and forward / back. Unfortunately, you can only do this by pausing while in the car and changing the view in “Advanced Options”. It would be nice to see Polyphony add button mapping support so we could make this key adjustment on the fly. Another thing of note inside the car is the heads up display. 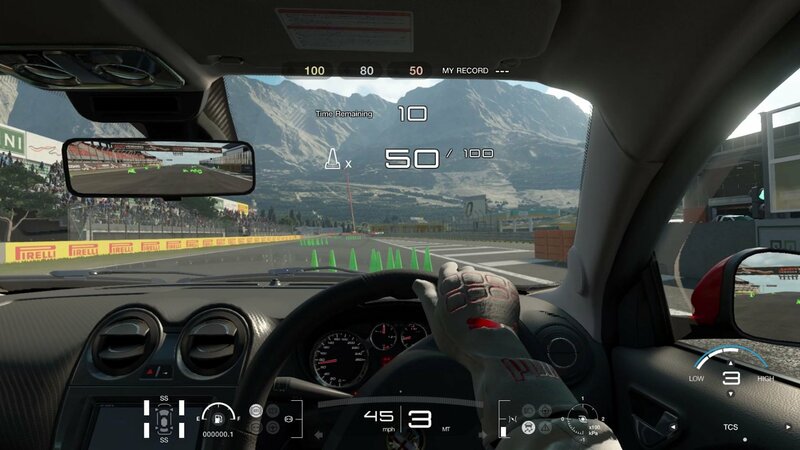 Besides the low quality looking track outline, the heads up display (HUD) looks pretty nice. The issue is – like AI – it’s very restricted on options. HUD comes in three different flavors, “Off, Race Info Only, and Display All.” Race Info Only tells you very little, while Display All fills your screen with more stuff than you need. I don’t want the track outline. I don’t want the super annoying suggest gear that flashes red every corner. As Kimi would say, “Leave me alone, I know what I’m doing!” For the most part, I don’t want any of the info about the car at the bottom center of the screen. I want the race information and the options in the bottom right hand corner of the screen. And speaking of those options – which includes helpful things like sector times, ABS / Traction Control / Fuel Maps – it also contains radar. While I’m glad there’s something to help let me know where the cars are at around me – especially in cars without rear cameras since the mirrors are usually outside the field of view – I can’t help to think that there’s a better way. In the middle of an intense race, it’s hard to look down towards the radar and take my eyes off of the track. A system – like a lot of other games use – that utilizes arrows on the entire screen would be much more helpful. The tracks in GT Sport are well done. The real world tracks feel and look faithful to their real world counterparts and there are some really fun fantasy tracks that not only steal corners and sections from real world tracks, but feel like they could be real tracks. The tracks also have a good atmosphere to them, between the fantastic looking pitroad and people models to the gorgeous skies and lighting. There aren’t enough tracks. There are 17 locations and 40 variants. This doesn’t sound bad, but once you start digging into these figures, the picture turns less rosey. 11 of those variants are the reverse version, a lazy tactic that really doesn’t work on a number of tracks. 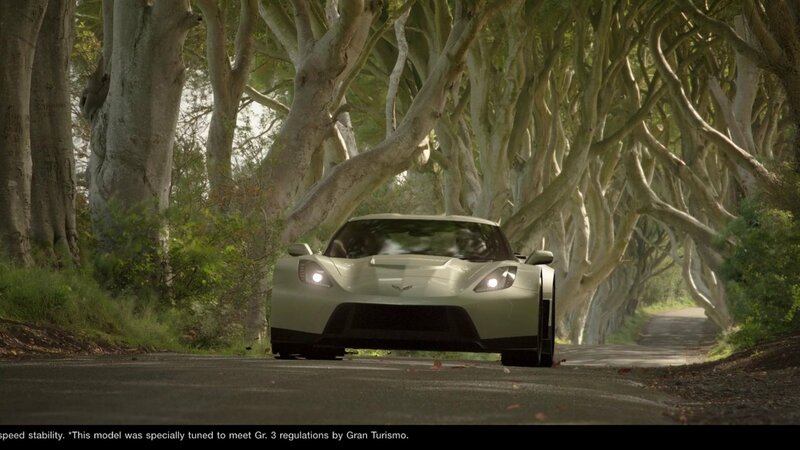 3 locations – 6 variants – are off road, which means 13 locations for asphalt and only three for off road. Of those 13 locations, two are ovals, which have always been an awkward waste of space in the GT series and continue that tradition here. This brings us to 11 locations, with only 6 of the locations being from the real world. Keep in mind, this is at a time when more and more games are offering the best real tracks from around the world. There’s nothing wrong with the fantasy tracks, but if you’re real world count isn’t over 15, then you’re behind. Plus, while the online function is great, will people get tired of the lack of variety? Possibly, only time will tell. Time will also only tell what Polyphony’s plan is for future tracks and possibly DLC. They now have the exclusive license to Pikes Peak, so we assume we’ll be seeing that in the future. Outside of that, anyone’s guess. GT Sport lets you choose between six and eight times of day depending on location, with fixed weather conditions for each time slot. The options are nice but the weather conditions being tied to time of day, and no real time progression, makes it a middling experience, so that’s how we score it. Yay GT has damage! Sort of… While it’s nice to finally see damage in a GT game, it’s a mixed bag of both visual and mechanical execution. Visually, the cars will scratch, break headlamps and show minor dents but you can’t really deform and break them apart. Mechanically, if you do ram into someone or something hard, you can cause damage to your car and it won’t hit top speed. Whether or not you received mechanical damage seemed a bit inconsistent, allowing me to get away with hard contact at times but not all the time. So while it’s good to see some consequence to your raming ways – especially when playing offline against AI that don’t ghost – there’s still a lot more to be desired. We’re not driving a vacuum cleaner anymore! The car sounds are much improved over Gran Turismo 6, but that doesn’t mean they’re class leading. The engine notes are much more believable and less electronic – or vacuum like – but they do have an odd mix to them that makes it tough to tell what exactly the car is doing. Is it time to shift? Are the tires about to break loose as you put power down? It’s hard to tell. The tire sound is also odd in that the onset of the – still kind of annoying – tire squeal doesn’t mean that the car is about to spin, just that you’re driving it hard but you can still go harder. This makes finding the limit tougher and different from pretty much every other racing game out there. On the very positive side, the chassis flex as you go over curbs sounds great and we are suckers for the classic GT menu sounds and awesome music. We had a lot of discussion about how to categorize physics. 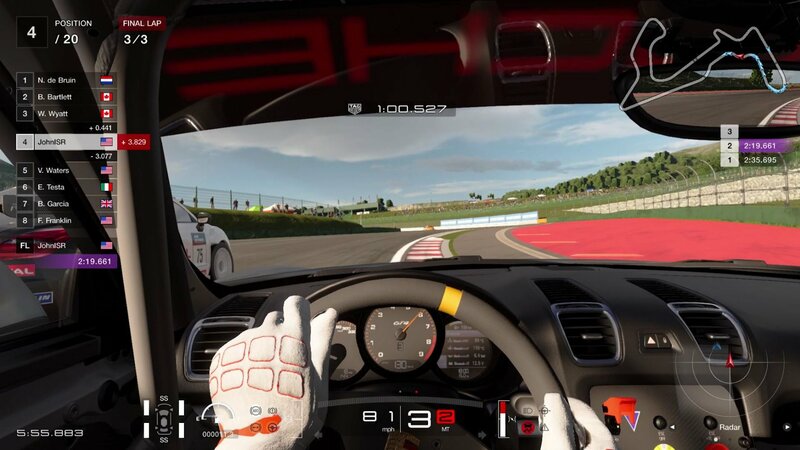 The physics in GT Sport are much improved, and if we are judging the game from a “simcade” angle, we would probably put it in the Pro category. But judging it against all the other racing games that are out there, including others you can get on the PS4, the physics fall into our Neutral category. On the positive side, the cars feel very good up to the edge. Drive them at 90% and the cars behave in a believable fashion based off their weight, center of gravity, power and tire choice. But once you start to really hustle the cars – as you do when racing – the physics shortcomings start to creep in. The all important tire flex that has become a hallmark in our discussions these days really isn’t present. This leaves you with an on top of the track feel and no way to tell that the car is building up to break traction. It just does. And once it does, you’re all hands and elbows to save it. Similar phenomenon also happens with braking. I found it really hard to find the limit, between not enough brake and locking up the tires. All of this equaled up to a change in how you drive. You really can’t push the cars in GT Sport, even higher performing cars like the GT3’s and prototypes. You have to be smooth with your braking and throttle and you have to really hit your marks to put as little steering angle into the car as possible. 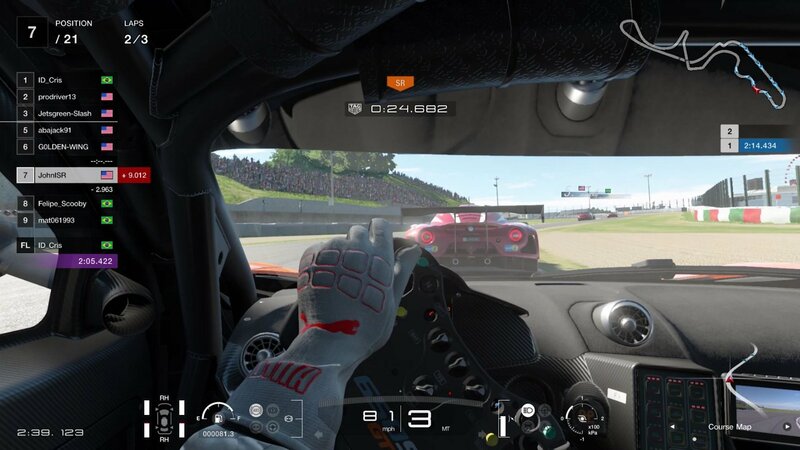 And while these driving techniques are hallmarks of any good driver, they’re highlighted in GT Sport to the nth degree. It just doesn’t allow you to take a high performance car by the scruff of the neck and drive the hell out of it. You also have to adjust your usual car settings. While I usually wouldn’t run traction control, turning it off is a death sentence in a lot of cars. The default setting of 3 isn’t bad but we found 2 to be the best in most cars. 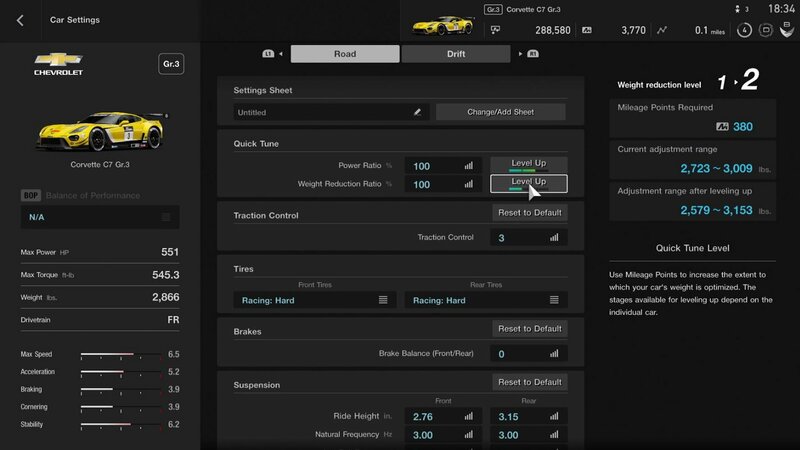 Once you do make these changes to your settings and driving style, you can enjoy the racing and be quick in GT Sport. But it is an adjustment, especially for those of us who drive other racing games. Like physics, force feedback falls into a middle area as well. While it can be surprisingly strong, it’s not the most detailed. Under “Advanced Settings” in “Driving Options” the game gives you three sliders to adjust, “Controller Steering Sensitivity, Force Feedback Max Torque and Force Feedback Sensitivity.” Controller Steering Sensitivity is for wireless controllers, so we’ll skip that and talk about the Force Feedback settings. Force Feedback Max Torque is, how much resistance do you want the wheel to have? Turning it up gives you strength but sacrifices detail. Going down has the opposite effect. For me driving with the new Thrustmaster T-GT – the official wheel of GT Sport – I found the middle ground setting of 5 to be the best. Below 5 the force feedback was lighter than I cared for and didn’t really give me much more detail. Above 5 the wheel would get surprisingly heavy but would lose a lot of detail. So like most things in life, sticking to the middle was the best way to go. Speaking of the T-GT, the wheel was clearly developed for GT Sport with all the buttons needed, including sticks that make things like painting liveries easier. It also exhibits this low vibration that correlates with what’s happening on screen in GT Sport. 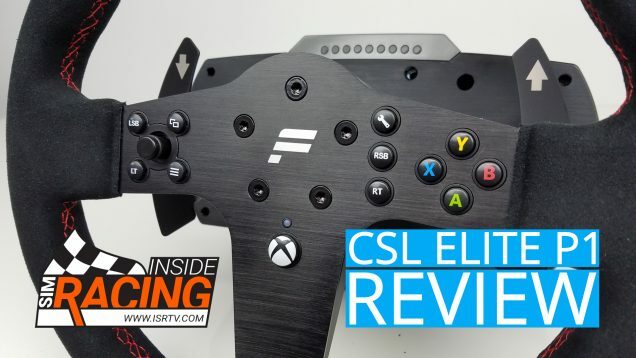 The low rumble makes my entire Next Level Racing F1GT simulator lightly vibrate and acts like a transducer using SimXperience SimVibe on the PC. It’s pretty wild, but we’ll talk more about that later in our review of the wheel. Back to force feedback. It’s part of the three sided triangle that has you driving GT Sport more with your eyes then with your hands. Between sounds that aren’t very descriptive, physics that make you feel on top of the track, and force feedback that isn’t giving your hands the entire story, your left depending on you eyes for where to brake, how much to brake, where to turn and where to get back on the gas. It’s more memory than reaction, which doesn’t bury the game, but doesn’t elevate it either. The only con we have – and one many of you experienced during the demo – is GT Sport always being online. While Polyphony claimed this was great – and there’s nothing wrong with it when it works – it’s not so great when the server has issues. When the server is down, you can only play in Arcade mode and any progress you make isn’t saved. Obviously, this is far from ideal. If the game wasn’t built like this, it would save locally, then update the next time you were online. But alas this isn’t the case, and considering not only the downtime a lot of you experienced during the demo but the downtime we experienced trying to review the release version of the game, this has been – and could be – a major issue going forward. You only get one chance to make a good impression and we certainly have our concerns about the stability of the game’s server, especially at launch. At the top I stated that, on paper, we shouldn’t be too excited about Gran Turismo Sport. I said this because we ended up with way more Neutral attributes than Pros. But – as we’ve seen with other racing games we’ve reviewed recently – you don’t necessarily need a lot of Pros to have a good game. You just need a key attribute or two to be done really well, and as long as no major Cons are present to derail those attributes, they can carry a game. Multiplayer carries Gran Turismo Sport. Multiplayer makes me like this game WAY more than I thought I would have thought. I drove GT Sport at the last two E3’s and it was just okay. 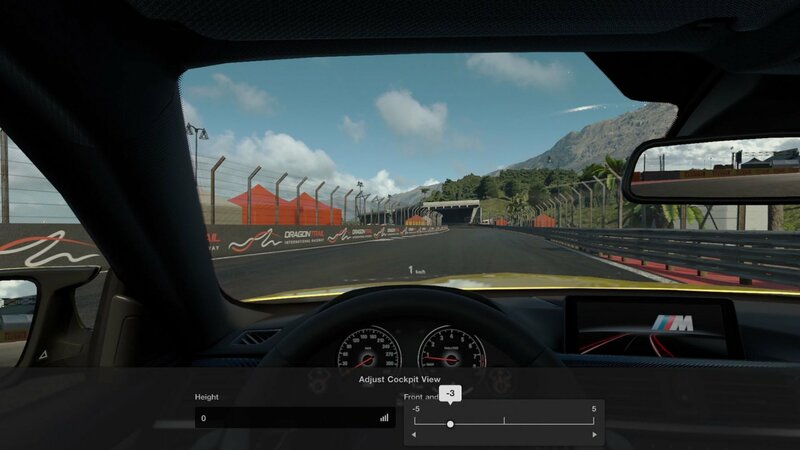 I wasn’t blown away by the graphics, or how the cars drove or how they felt with a wheel. But looking back at both those shows, I did have some pretty good multiplayer races. Now that the final game is here and some of the things that weren’t polished at E3 – like the graphics and the ghosting system – are, it’s really impressive. I am very surprised how much I enjoy the game and want to keep playing. There are certainly areas for improvement in GT Sport. A tire model with sidewall flex. Force feedback that transfers more of the road surface detail to you. More informative sound. More real world tracks. More AI difficulty options. More HUD options, and much more. The wish list isn’t short. But even with that wish list, the pickup and race online ability of Gran Turismo Sport is second to none and I really look forward to seeing how they build upon this excellent online foundation going forward.